Tree Care Stories from Restore Mass Ave: RMA's new logo wins national award! RMA's new logo wins national award! Our new logo won a national award! Gill Fishman Associates earned a prize for the new RMA logo in Graphic Design USA's yearly competition. The Fishman firm, which designed RMA's web site and brand, walked off with 17 awards in this competition, in which thousands of firms around the country submit their designs. You can find our new logo throughout RMA's social media, digital and print materials. The logo is central to the lovely, evocative web site the Fishman firm designed for us, offering 30 pages of visually arresting images. The RMA rebranding did not happen overnight. "Our program crosses many fields of endeavor which had to be unified visually," says Deborah Shapley, President of RMA. "Maps are an example," Shapley explains. 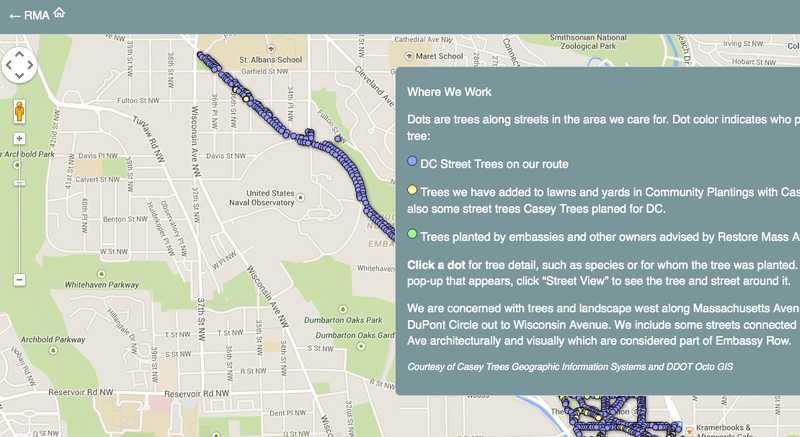 "We had a layer of interactive tree data on a map of our part of Washington. Fishman enlarged the map to be easier for users. He framed it in a soft, gray-blue. The new page suggests our wonderful, historic avenue even as visitors utilize twenty-first century technology." Explore our interactive tree tool today! Go to http://restoremassave.org/map-where-we-work/ to learn more about the tree species on our grand avenue and enjoy street views. Gill Fishman Associates (http://gillfishmandesign.com/) is a leading design and branding firm in Cambridge, Massachusetts. Its A-list of clients include the Harvard Brain Initiative, the Boston Preservation Council, and the Boys and Girls Club of Greater Boston. The office is located on "the other Mass Ave" - a popular street cross-cutting Cambridge and Boston. 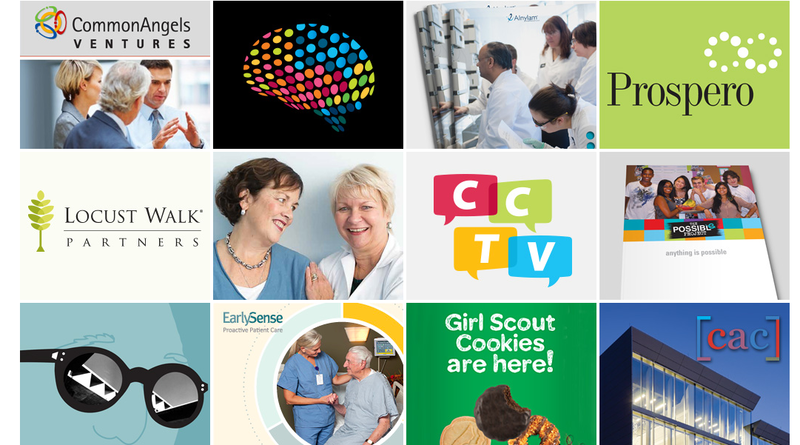 Below are sample brands the firm created for prestigious clients. Mr. Fishman's appreciation of elegant, treed landscape comes in part from living in a picturesque, wooded landscape in Brookline designed by Frederick Law Olmsted at the turn of the twentieth century. Since 1963 Graphic Design USA (http://gdusa.com/contactus.php) has been the news magazine for graphic designers and other creative professionals.